The World Of David Bowie: Saudi Arabia; IBM, 8609. 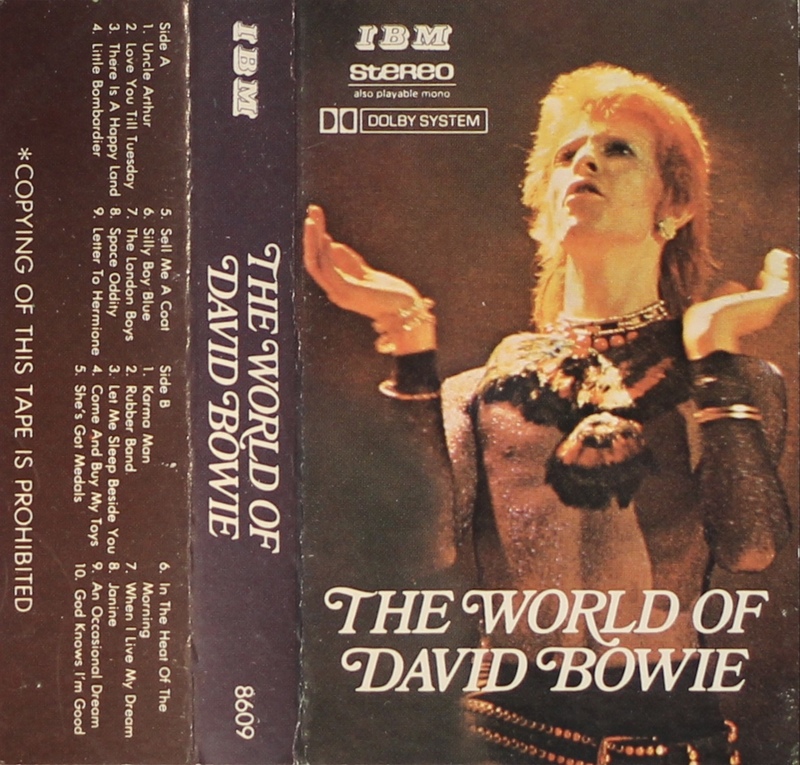 The World Of album with filler tracks from ‘Space Oddity’. 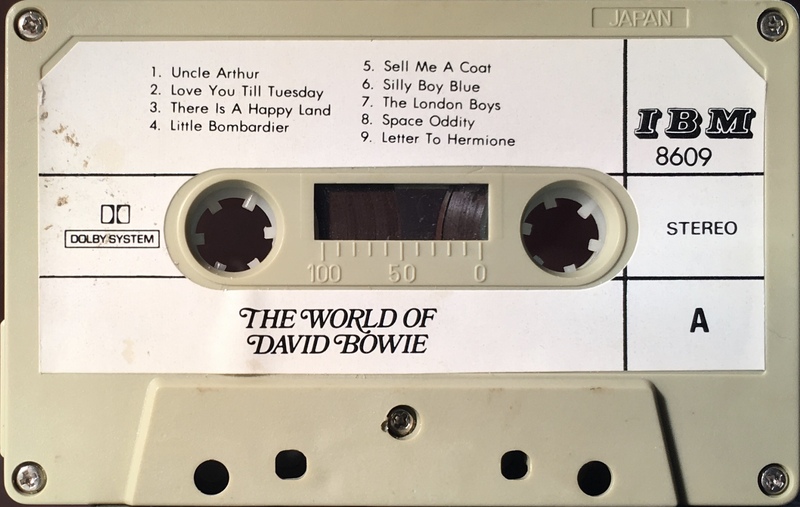 Side 1: Uncle Arthur; Love You Till Tuesday; There Is A Happy Land; Sell Me A Coat; Silly Boy Blue; The London Boys; Space Oddity; Letter To Hermione. 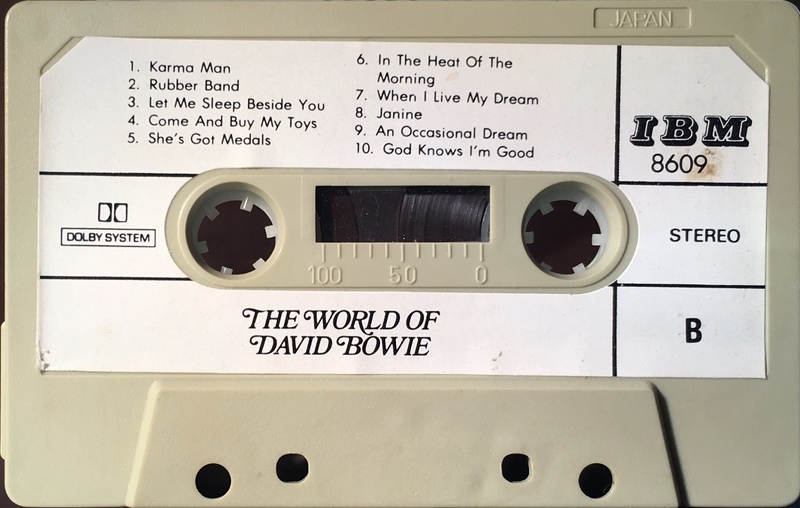 Side 2: Karma Man; Rubber Band; Let Me Sleep Beside You; Come And Buy My Toys; She’s Got Medals; In The Heat Of The Morning; When I Live My Dream; Janine; An Occasional Dream; God Knows I’m Good.